Scoliosis is an abnormal curvature of the spine. Normally, the shape of the spine includes a curve at the top of the shoulders and a curve at the lower back. 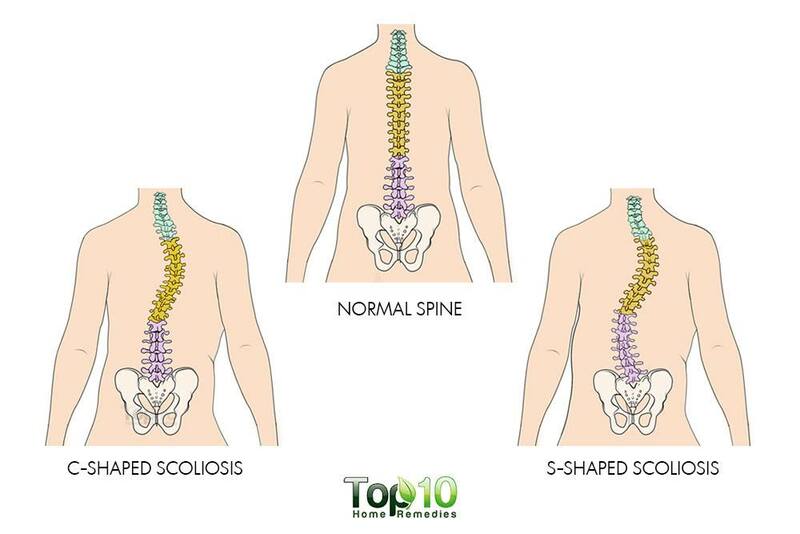 But in people who have scoliosis, the spine is either curved from side to side or in an “S” or “C” shape. The problem usually begins during the growth spurt right before puberty, but it can occur at any time. Some common signs and symptoms of scoliosis include uneven shoulders, one shoulder blade that’s more prominent than the other, an uneven waist and one hip that’s higher than the other. This may cause pain and discomfort. Also, if the problem gets worse, the spine may rotate or twist, causing the ribs on one side of the body to stick out farther. Experts are not sure exactly what causes scoliosis. According to the American Association of Neurological Surgeons, about 80 percent of scoliosis cases have no identifiable cause. However, experts believe that heredity is a common factor, as the problem runs in families. Other causes may include neuromuscular conditions (cerebral palsy or muscular dystrophy), a birth defect that affects the development of the bones of the spine, a spinal injury or an infectionin the spine. Scoliosis is divided into structural or nonstructural categories. In structural scoliosis, it’s a permanent problem that occurs due to some kind of disease, injury or birth defect. In nonstructural scoliosis, the curves are temporary and can be fixed. While both boys and girls may develop mild scoliosis, girls are at a higher risk of developing complications, which may include lung damage, heart issues and back problems. Due to the noticeable changes in the body structure, people with scoliosis often become self-conscious about their appearance. Most cases of scoliosis are mild, and one may need to wear a brace to stop the curve from worsening. In fact, wearing a brace is considered the first line of treatment when the problem is diagnosed early. In some cases, one may need surgery or orthotic inserts to prevent the curvature from worsening and to straighten the spine in severe cases. 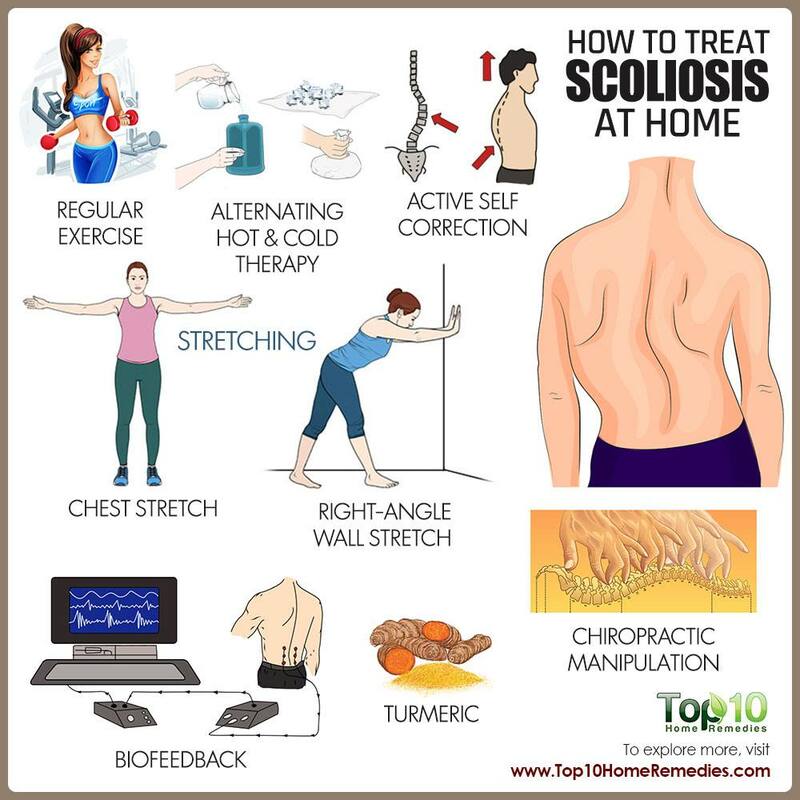 Apart from medical intervention, certain exercises, nutrients and lifestyle changes may improve the overall health and well-being of a person who has scoliosis. Regular exercise helps keep your spine strong, regardless of whether you have scoliosis. But doing targeted exercises can help strengthen and even help realign the spine safely and effectively. In a systematic review published in BioMed Research International in 2015, researchers concluded that, as per moderate-quality evidence, an exercise program is superior to controls in reducing the Cobb angle, angle of trunk rotation, thoracic kyphosis angle, and lumbar lordosis angle as well as improving the quality of life in patients with adolescent idiopathic scoliosis (AIS). Further, the study shows that, as per low-quality evidence, an exercise program is superior to controls in reducing average lateral deviation in patients with AIS. However, due to the presence of heterogeneity in exercise protocols and poor methodological quality, more studies are needed. Exercises such as walking, running, playing soccer, doing yoga or swimming, can be very helpful. However, it is important to talk to your doctor about what physical activities are healthy and safe options for your condition. Stretching helps a lot if scoliosis starts causing pain. It helps reduce pain by releasing tension in the muscles surrounding the spine as well as improving flexibility and increasing your range of motion. 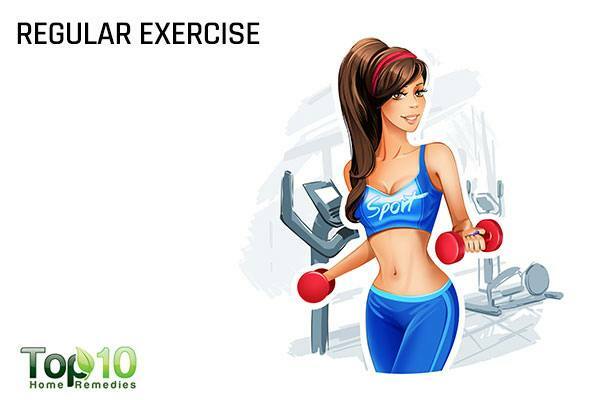 Plus, it increases blood flow to the joints, which helps keep the body limber. A 2015 study published in the Journal of Physical Therapy Science reports that consecutive application of stretching, Schroth and strengthening exercises may help reduce Cobb’s angle and the rib hump in adults with idiopathic scoliosis. Two popular stretches for scoliosis are the chest stretch and the right-angle wall stretch. Slowly, pull your arms backward and press your shoulder blades together. Take a break for a few seconds and repeat again. Place your hands on a wall at shoulder level, keeping your feet shoulder-width apart. Walk backward until your feet are directly under your hips. Push your palms into the wall, lengthening your spine while keeping yourself comfortable. Keep your lower back tucked in and your arms straight. Do it for as long as you are comfortable. Take a break and repeat again. Other stretches and yoga poses that are helpful are the back stretch, Child’s Pose, Rag Doll Pose, lower back stretch, hip stretch, cat stretch and overhead stretch, to name a few. Active self-correction is a corrective movement that is performed according to the level of impairment, the morphologic features and posture. The main aim of this technique is to restore a position as close to physiologically normal as possible. This simple technique comprises movements performed in all spatial planes – coronal, sagittal, horizontal – in an overall vertical anti-gravitational direction. When done correctly, it simulates situations and movements in daily life. A 2015 study published in Scoliosis and Spinal Disorders highlights the benefits of the active self-correction technique in people suffering from scoliosis. The study also says it is an approach to scoliosis exercise treatment with a strong, modern neurophysiologic basis. To get the best result, you need to learn the technique from an expert. Acupuncture is another effective option to relieve scoliosis discomforts. 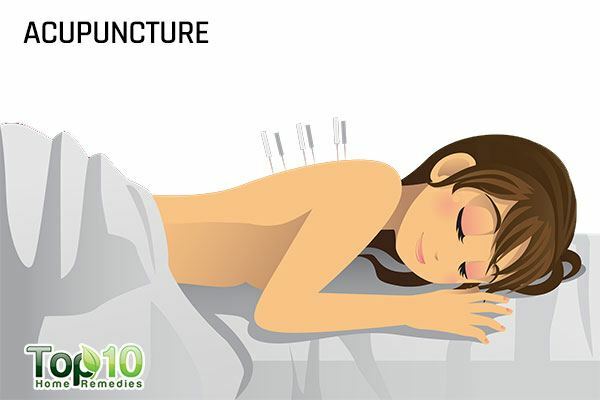 In acupuncture, certain acupuncture points are stimulated that help improve scoliosis pain. A 2008 study published in Scoliosis and Spinal Disorders reports that one session with real (verum) acupuncture seems to have an influence on the deformity of scoliosis in patients with a curvature of no more than 35 degrees. However, further investigation of the effect of acupuncture in treating patients with scoliosis is needed. A 2009 study published in the Journal of Alternative and Complementary Medicine reports that acupuncture was associated with a reduction in the degree of curvature in a 74-year-old woman, after two years of conventional medical treatment had failed to stop the backache and curvature progression. The study suggests that acupuncture not only plays an important role in pain control, but can also improve curvature progression for certain patients with degenerative scoliosis. Chiropractic care is an increasingly popular treatment for people suffering from scoliosis. 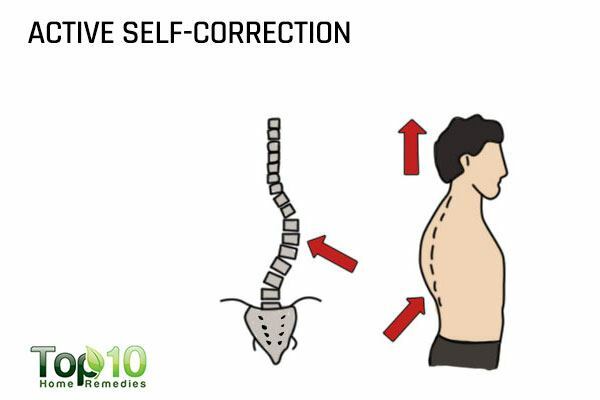 A chiropractic manipulation theory is based around an exercise program that was used in order to prevent the natural progression of adult scoliosis. It can reduce physical discomforts as well as provide positive physiologic benefits. A 2006 study published in Chiropractic & Osteopathy reports that chiropractic treatments provided positive results in people suffering from scoliosis. A 2011 study published in the Journal of Chiropractic Medicine reports that after completion of a multimodal chiropractic rehabilitation treatment, a retrospective cohort of 28 adult scoliosis patients reported improvements in pain, Cobb angle and disability, immediately following the conclusion of treatment and 24 months later. 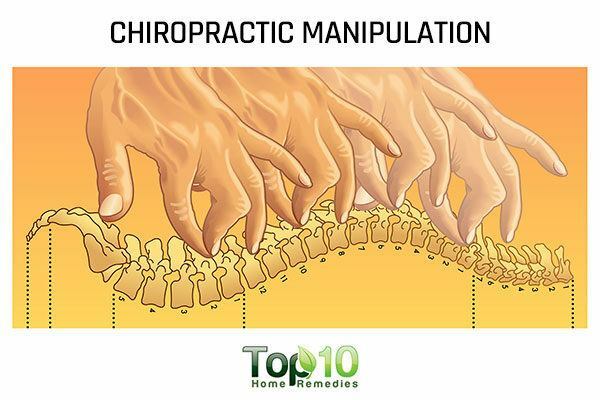 A 2015 study published in Scoliosis and Spinal Disorders reports that mild side effects were common during chiropractic manipulation, although the frequency was slightly lower than the average for chiropractic interventions. However, no serious adverse events occurred that required medical attention. Always consult a doctor of chiropractic medicine for proper treatment. Applying alternating hot and cold packs can help ease the paon and discomfort associated with scoliosis. The heat from hot pack will help soothe the pain whereas the cold temperature from cold pack will reduce inflammation. Wrap a packet of frozen peas in a hand towel. 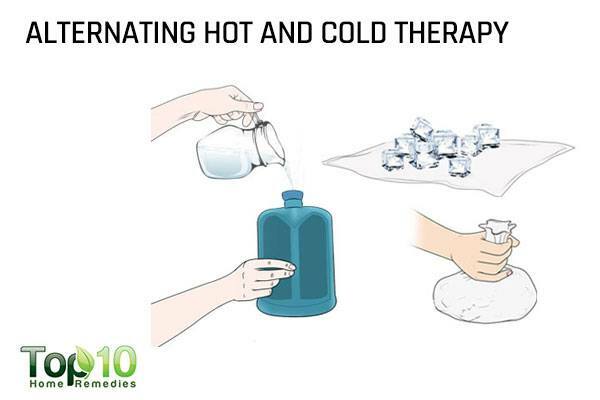 Similarly, wrap a heating pad or hot water bottle in a small towel. Place the cold pack on the aching area for 2 minutes. Replace the cold pack with hot pack and keep it on for another 2 minutes. Keep alternating the 2 packs for 15 to 20 minutes. 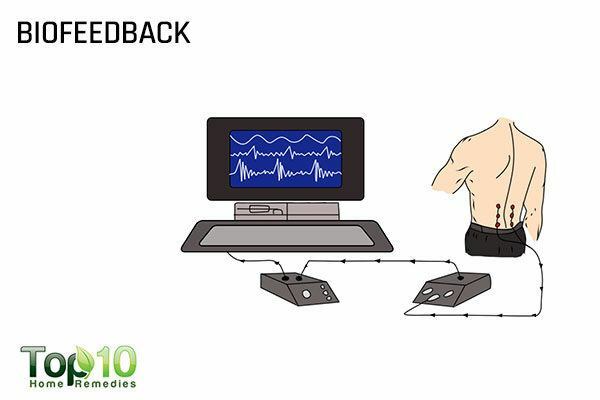 An alternative treatment, biofeedback can also provide relief from scoliosis symptoms. In this type of treatment, a person becomes aware of his body’s reactions and slowly learns to control these reactions through his actions. A 2001 study published in Prosthetics and Orthotics International analyzed the effectiveness of audio-biofeedback in postural training for AIS patients and found that long-lasting, active spinal control could be achieved through the patient’s own spinal muscles. Scoliosis can worsen due to an imbalance of magnesium and calcium in the body. 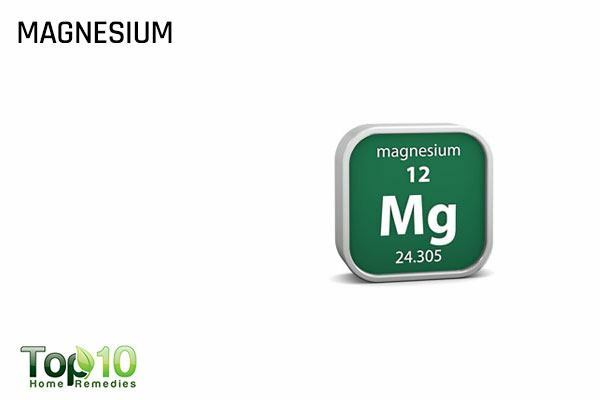 You can correct that imbalance by taking a magnesium supplement or increasing the amount of magnesium you get from your diet. Also, magnesium can help strengthen the spine. It stimulates calcium reuptake that can help maintain strong muscles and prevent cramps. 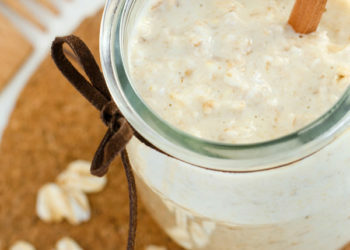 You can also get your daily dose of magnesium by eating foods like almonds, avocados, bananas, beans, pumpkin seeds, tofu, soy milk, cashews, pecans, walnuts, potatoes with the skin, yogurt, blackstrap molasses, whole grains and green leafy vegetables. Being anti-inflammatory in nature, turmeric can help reduce the discomforts of scoliosis. The active ingredient curcumin in turmeric can help reduce chronic pain and inflammation. 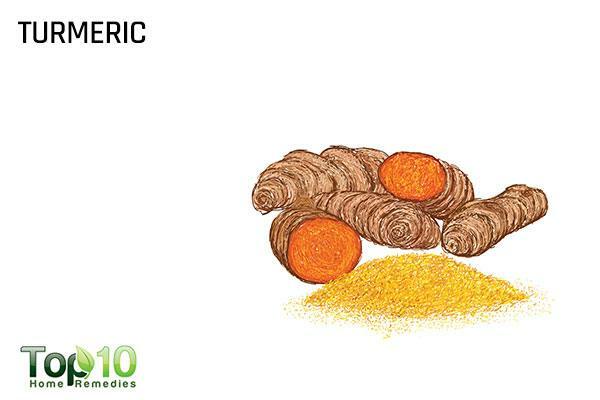 You can take 250 to 500 mg turmeric supplements 3 times a day for several weeks. Consult your doctor first. Also, include turmeric in your daily cooking or drink a glass of turmeric milk twice daily. To prepare turmeric milk, heat 1 teaspoon of turmeric powder in 1 glass of milk (if dairy products do not suit you, use almond milk). You can also add a few cinnamon sticks for added taste as well as health benefits. Sweeten the drink with a little honey. Smoking is bad for your health, especially when you are suffering from troubling health conditions including scoliosis. 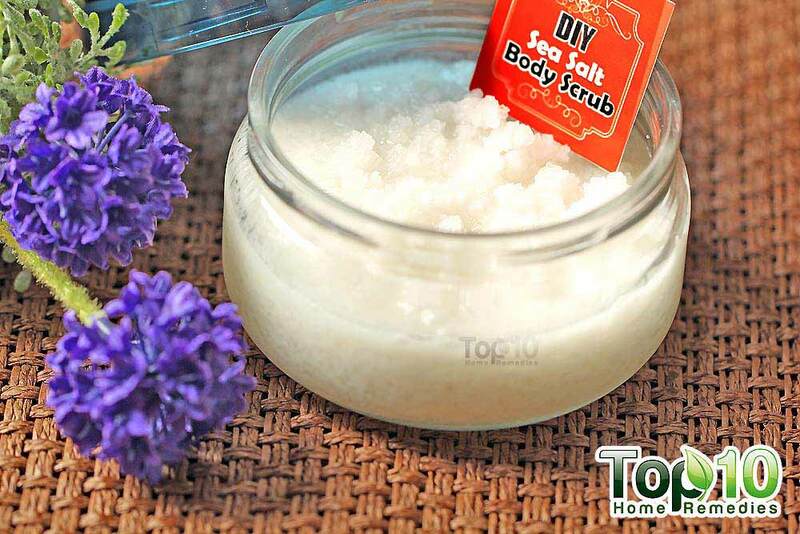 It delays the healing of tissues and inhibits bone healing. 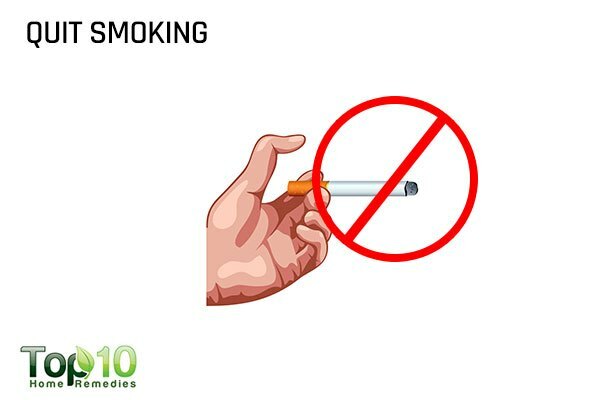 In fact, it is often advised to stop smoking before going for spinal surgery for this reason. In addition, it compromises your immune system and increases the risk of developing post-operative infections. Make efforts to quit smoking for better spinal as well as overall health. If needed, get professional help as well.